Every day, all over the country, local health officials lead health departments with distinction and purpose, standing on the front lines of America’s greatest health challenges. We are proud to stand with our colleagues across the country, as each of us, individually and collectively works to protect and advance the health of people in our communities. The populations we serve are diverse, with a wide variety of challenges and different demographics, but we are all guided by shared values. We hold a strong commitment to creating policies and programs that are driven by science and evidence, a sense of duty to advance health equity, and a dedication to excellence as we lead our departments and carry out our work every day. As Big Cities Health Coalition leadership, members, and local health officials, we are especially grateful for the continued partnership and collegiality offered by the Coalition. Along with the routine work of helping to ensure the health and safety of our cities’ residents, we now face a number of unprecedented challenges that we feel more confident meeting, in part, because of the collegiality and resources offered by the Coalition and its members. In times like these, there is simply no substitute for the support provided by colleagues in the Coalition. Health leaders in cities across the country serve as innovators and change agents, leading the way on the most pressing health issues of our time. 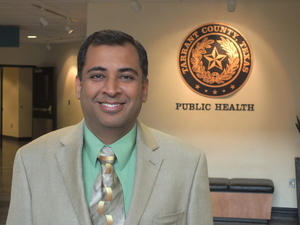 BCHC serves as a convener of expertise on many issues of significant importance to city health departments across the country, including the opioid epidemic, innovative ways to address health disparities, and new methods to cut down on drivers of chronic disease, like childhood obesity and tobacco use. The meetings, webinars, and conference calls organized by the Coalition help promote best practices and collectively problem solve, and they are invaluable. We look forward to continuing to work together to achieve excellence in implementation and spreading of best and promising practices, as we work collaboratively to advance the public health field.